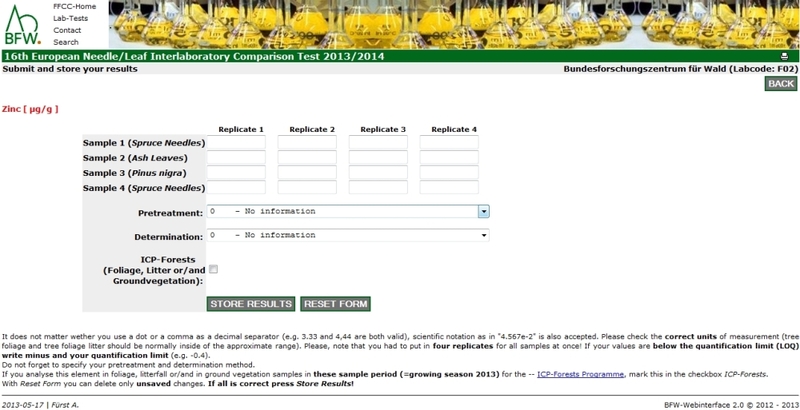 Interlaboratory Comparison Tests are usually very time-consuming for the test provider. Especially for collecting and re-checking of addresses and results a lot of non-productive time will be spend. Another important topic within international Interlaboratory Comparison Tests is the language barrier, which make the contact and the communication with the responsible persons in the labs more difficult. 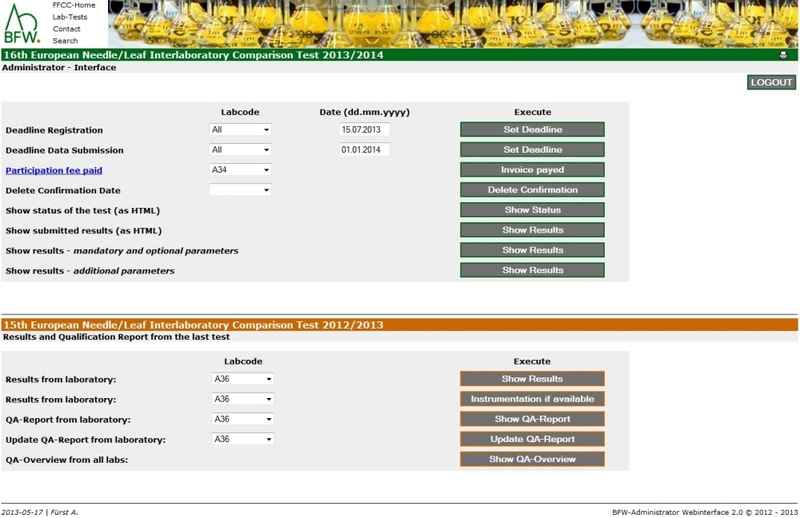 FFCC has developed for the international Interlaboratory Comparison Tests within the European Forest Monitoring Programme a web-interface to perform the interlaboratory comparison tests. 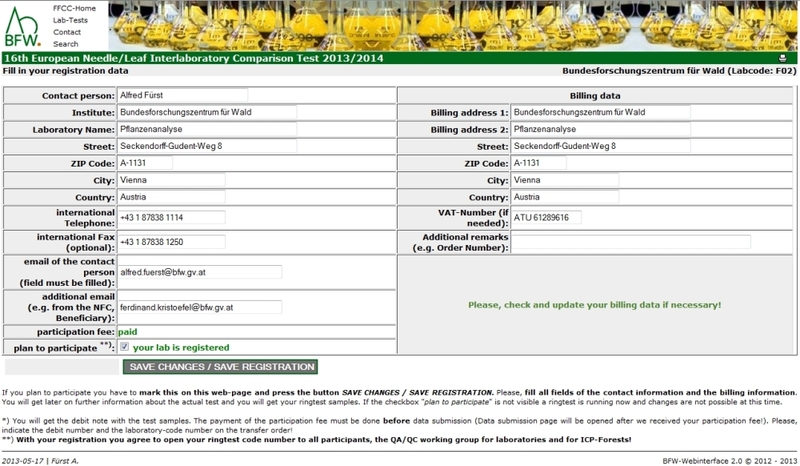 FFCC offer the use of this interface against payment. Collecting and updating of addresses, the billing information (participation fee), registration, collecting of ringtest results and download of the qualification reports can be done easily from the participating laboratories by their own. The ringtest provider gets also an overview about the status of the test and can set deadlines for registration and for data submission and can update the qualification reports. After finishing the data collection the result can be exported in a file for an extended ringtest evaluation. An automatic median based standard evaluation is also included. All results will be saved in an Oracle database and can be used later on. The software can be matched with the individual needs of the rintest provider. The Interface was used now in more than twenty ringtests for collecting soil, deposition, foliage and litterfall data within the ICP-Forests programme and within the German soil inventory (BZI).